WASHINGTON (AP) — The Trump administration's request for the Pentagon to house migrants detained at the U.S. southern border and even help prosecute them is prompting concern about strains to the military. "We shouldn't be militarizing border enforcement," Rep. Ro Khanna, a California Democrat, said in an interview. 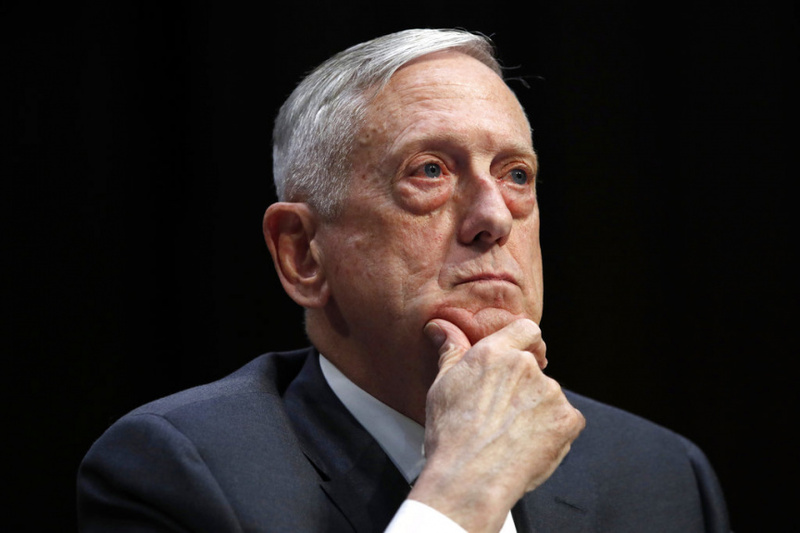 Defense Secretary Jim Mattis, who has made it his top priority to improve the military's fitness for combat, argues that the Pentagon is nonetheless obliged to provide help with border enforcement. "We have housed refugees, we have housed people thrown out of their homes by earthquakes and hurricanes; we do whatever is in the best interest of the country," he recently told reporters. But he also has insisted that decisions about immigration policy and its security implications are not his to make. "I'm not going to chime in from the outside," he said. "Clearly, the military needs more, not fewer, lawyers available for its critical military justice practice," Sens. Joni Ernst, R-Iowa, Kirsten Gillibrand, D-NY, and Patrick Leahy, D-Vt., wrote in a letter to Mattis last week. They pointed out the Pentagon already had said that military lawyers are too busy to expand the services of special victims counsel. "Instead, we have now learned the services will be diverting these valuable resources to support a non-military mission," the senators wrote, adding that they are "deeply troubled" by what they consider a misuse of military personnel. The Pentagon has agreed to set up tents -- which it euphemistically calls "semi-separate, soft-sided camp facilities" -- at Fort Bliss, if needed, for detained migrant families starting this summer. It has also agreed to make housing available at Goodfellow Air Force Base in Texas for up to 20,000 unaccompanied minors detained for illegally crossing the southern border. This is not unprecedented. The Pentagon temporarily housed several thousand unaccompanied detained minors in 2014 at military bases. This year's problem has drawn wider attention and sharper criticism in part because of the administration's now-suspended practice of separating children from parents who are detained for illegally crossing the border. "We certainly should not be using our nation's vital military bases for non-defense purposes," Rep. Raja Krishnamoorthi, an Illinois Democrat, said earlier this month in arguing that Congress should block funding for migrant detention facilities on military bases. Even some Republicans who support Trump's crackdown on illegal immigration are unenthusiastic. "I am not convinced at this point that housing them in our military installations is the best short-term answer, especially if it harms regular base operations, crowds our service members, and distracts from the mission of defense," Rep. Jodey Arrington, a Texas Republican, said in a statement. His district includes Dyess Air Force Base, which is among bases under consideration for sheltering unaccompanied detained minors. More broadly, Trump has urged the Pentagon to help pay for the border wall that he says is critically important to stemming the tide of illegal immigration. "Our Military is rich again," he wrote on Twitter in late March, adding that the Pentagon should pay for the wall because it would keep "enemy combatants" out of the country.